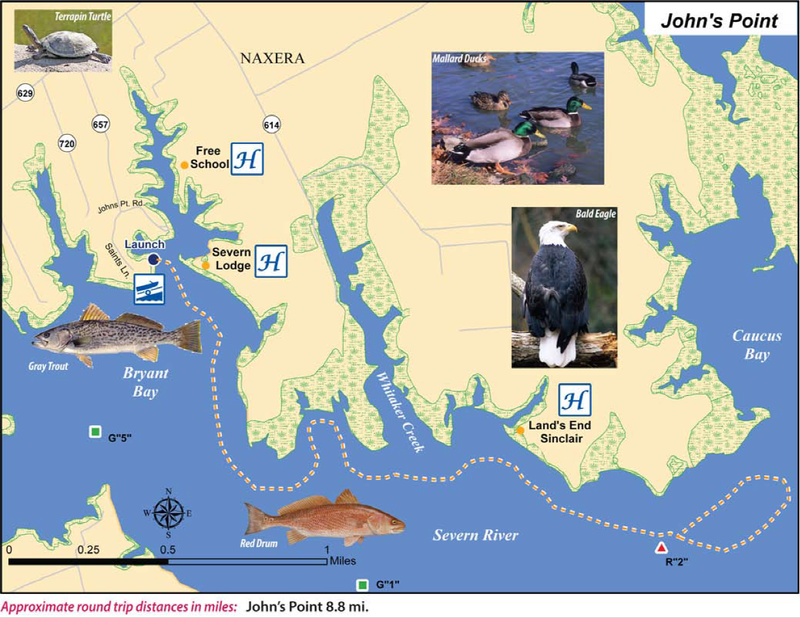 I used this golden spring weekend, to pull out the canoe from the basement and explore another part of the Chesapeake Bay and the Gloucester Blueways, this time, to John’s Point. We paddled the Ware River last year, but wanted to explore another of the 5 total blueways that exist in Gloucester County. John’s Point is very similar to Warehouse landing, the boat launch is very well kept with a nice clean beach as your launch site. 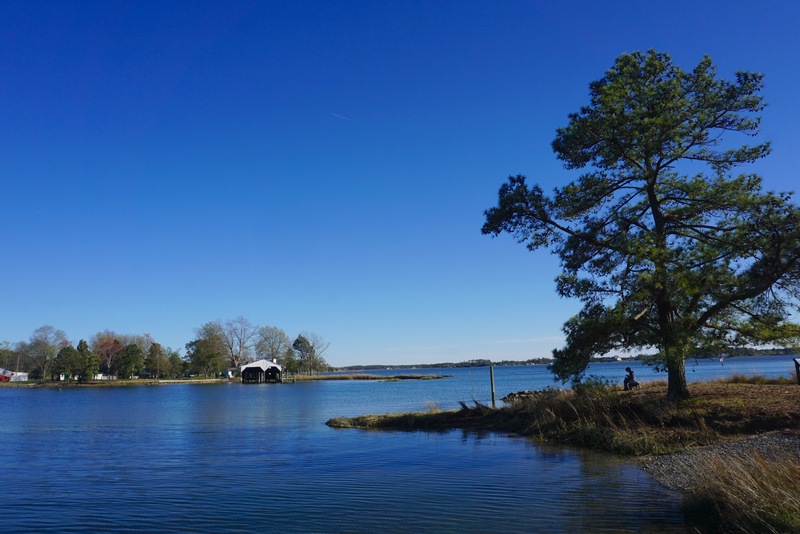 It was a windy day, and the proposed trail totaled 8.8 miles along the Severn River toward Mobjack Bay and back was formidable. 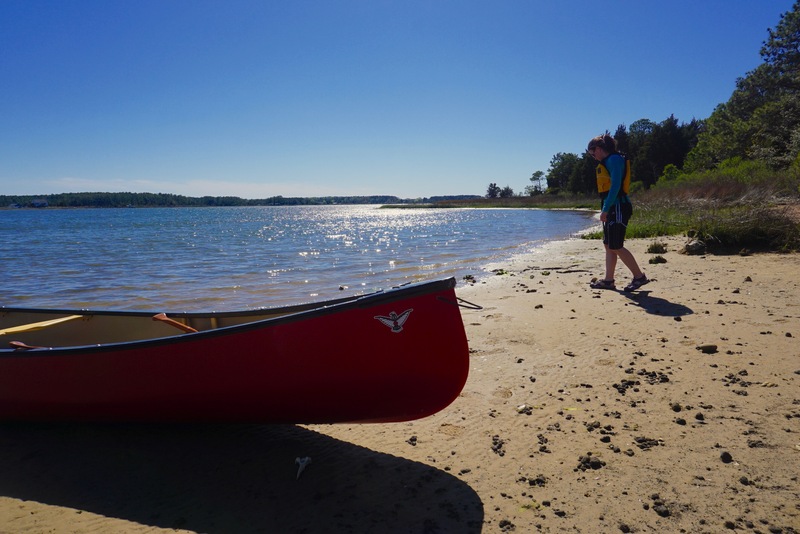 This might have been possible in a kayak, but we opted to head west instead of east to explore the inner waterways and the beaches in search of crabs and oysters. We took breaks from the wind as we hopped from island to island, and combed our way through the beaches. We saw several ospreys, one egret, one loon and a red tailed hawk. The water was very clear and all along the beach were oysters popping out of the sand. I came out here to feel once again how special the Chesapeake Bay is. What John Smith said about the bay in 1608, still holds today. It is truly a national treasure worth fighting to protect for future generations to come. There is so much wrongheaded about the actions against the EPA, and many other valuable agencies and programs. It is difficult to talk about it. Words are lacking. Thanks for the nice photos. It looks like a great place and a beautiful day. Words truly do escape me Jim; when that happens, I try to get out there to get some inspiration. Trying to find more ways to get involved. Thanks Jim. I will truly never understand the way some view the world. It seems to be almost the majority these days….I knew I could count on you though! It’s insane we have to sign petitions and such to try and stop this lunacy. Thanks for keeping it in the public eye. I completely agree Ian, I don’t know how we got here, but I figure it’s time to take some action. A very nice piece, John, and I agree with your commenters. It’s a crazy thing to have to sign petitions and practically go begging for what sustains us in this country, but we do what we must, and you are helping out our cause.